Lacking a small thing like that is not nearly a deal-breaker. Ironically, there’s something else that Go scores minus points for providing: automatic memory management. Or in plain English: Go has garbage collection. Boo-hoo! On more serious note, you may wonder how this can be a bad thing at all. Hasn’t every language got GC nowadays? Even Objective-C has something equivalent to reference counting garbage collector. And Go has a proper one that uses parallel mark-and-sweep, somewhat similar to Java on Android. What’s the alleged problem? Thing is, Go intends to compete within a lower-level niche than most of those “contemporary languages”. I keep comparing it to C and C++ because they are its immediate neighbors in the whole concept-space of programming languages. Yet by having a built-in, mandatory garbage collector it sets itself somewhat apart from them. The practical consequence is that applications of Go end somewhere in the gray area of soft real-time systems. Interactive programs in general – and games in particular – might or might not be among them. It all depends on particular case, actual efficiency of Go’s GC, hardware we want to target, etc. Even if the performance problems are often exaggerated, trade-offs are acceptable and the whole issue is just overblown, it still requires careful analysis when doing anything serious. In contrast, C++ or (especially) C is just a safe bet. While sporting a garbage collector distinguishes Go from C quite substantially, there’s one thing that brings both very close in terms of design decisions. 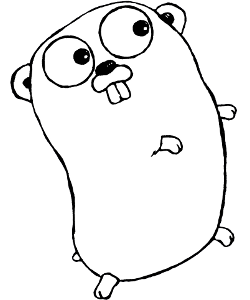 Go doesn’t have exceptions. By that I mean a typical pattern of try/catch/finally, try/except/finally, begin/rescue/end, handle (\e -> ...) $ or equivalent construct. There is a little mechanism of panicking and recovering that looks superficially similar, but it’s not a normal, idiomatic way of handling most errors. So what is? Well, return values. Strange as it may be, this actually works pretty well because it was a deliberate design decision. To make it usable, the language actually offers several related features and quality-of-life syntactic constructs. Third, the error objects are not mere integer codes. Much like exceptions, they can be arbitrary objects that implement particular interface. All errors can describe themselves, for example, providing a text message ready for supplying to log package functions. Lastly, resource management (for non-memory resources) is solved by introduction of defer statement. By deferring an operation, you tell the runtime to execute it at the end of current function (also when panicking) in a last-in-first-out manner. In C, these problems are typically solved through goto in one of its rare legitimate uses. defer is of course much cleaner, even if it breaks the flow of reading the code line by line. With those tools in hand, it’s not really cumbersome to handle errors in Go. You can also ignore them pretty easily: just substitute err with _ (underscore) and omit the check. What you cannot do easily this way is to propagate errors further up the call stack. For that you would need to modify every function along the way, in a manner more complicated than, say, adding throws declaration in Java. I will stop at this point, as I think I’ve covered the all the most important and characteristic aspects of Go… almost. There is still a topic of concurrency and the so-called goroutines but this one actually deserves a post on its own. If you want more information, Go homepage would be the best place to, ahem, go. You can even try it right away in the browser.